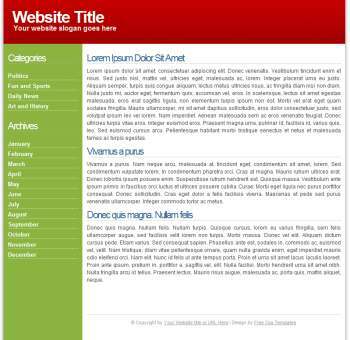 Refreshing spring green and passionate red color for a new free template from minimalistic design. It is 2 column really simple but easy to tweak and maybe even learn from. Hope you enjoy the theme...Download it.